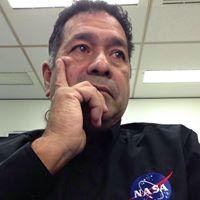 Bay Area Houston: Is Social Security going broke? No. Is Social Security going broke? No. 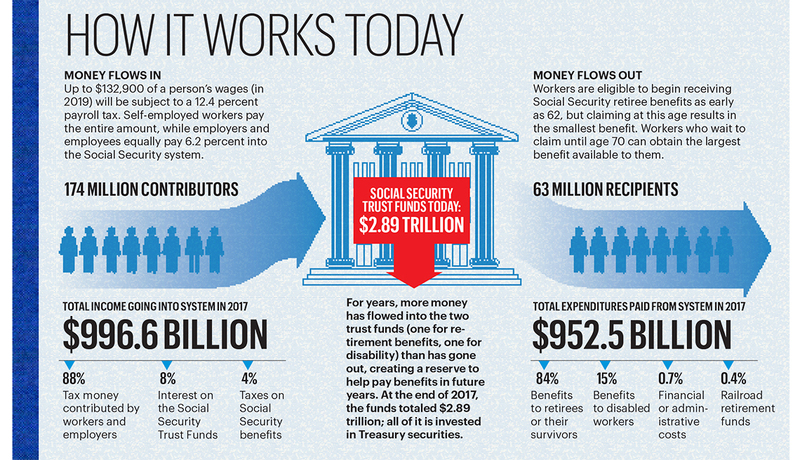 AARP magazine wrote a great article on "Social Security The Real Facts". If you have a moment read the article so you can talk intelligently about it especially before you say something ignorant like "SS is going broke" or "SS will not be around when I am old". Click on the summary below to view a larger version. 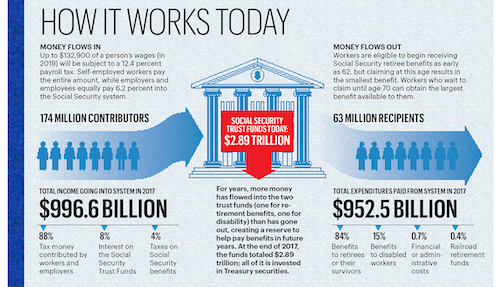 Social Security is not going bankrupt. It has a $2.89 Trillion reserve. If no adjustments are made this reserve will be depleted in 2034. SS will be able to pay benefits but at a reduced level of 79%. Congress can easily fix this. 95% of American workers pay into Social Security every paycheck. 5% of American workers pay into Social Security till they reach the cap of $133,000. Then they stop contributing. If Congress would move this cap to $250,000 the fund could pay full benefits for another 50 years. This change would affect just 5% of American workers. Fun facts. Social Security Administration has a budget of $12.5 Billion. 63,000 Federal employees. 16,000 state employees. 1245 field offices. You can start collecting at 62. You can start collecting social security benefits at 62 but at a reduced rate. Do the math and see if this is right for you. Social Security should not be your sole source of income at retirement. Couple this with a pension and savings and you will do just fine. Unfortunately most Americans do not have a pension so savings at a very early age into a retirement fund is a must. You can visit https://www.ssa.gov to view your specific information such as how much you have made each year you have been working, your projected benefit at various ages and more!